Debtors have a lot to gain from filing for bankruptcy protection, particularly a Chapter 13 bankruptcy filing. They don’t risk losing assets, as the trustee doesn’t sell anything to satisfy their debts. Instead, they agree to a payment plan, through which they pay down their debts from their disposable income over a period of years. 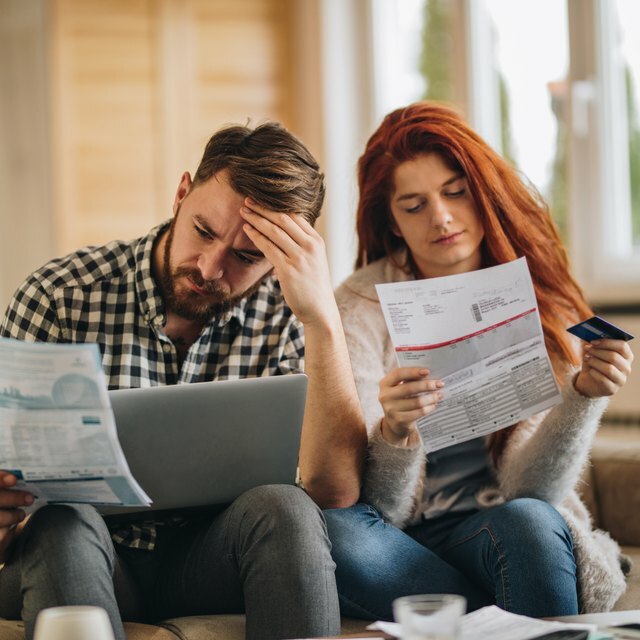 Their creditors can’t take actions to try to collect more from them during this time, and this affords them some breathing room during a difficult financial time. Not everyone is eligible for this form of bankruptcy, however. Both Chapter 7 and Chapter 13 debtors must attend credit counseling to qualify for bankruptcy. They must do this within six months of filing. The counseling agency provides a certificate that proves the debtor has completed the course, and the debtor must file this with the court, either with his petition or up to 15 days after he files it. His bankruptcy can’t proceed unless the court receives proof of his attendance. Chapter 13 is sometimes called a wage earner’s bankruptcy because you must have sufficient income to qualify. You must prove that you can pay your regular living expenses and have enough money left over to fund your payment plan. You don’t necessarily have to be employed, but you must have some source of regular, reliable income if it comes from a more unorthodox source, such as self-employment, retirement investments, rents or royalties. Unemployment, Social Security and disability benefits also count as income, and you can include your spouse’s earnings if you’re married, even if she doesn’t jointly file for bankruptcy with you. If you have too much debt, you can be denied Chapter 13 eligibility. The U.S. Bankruptcy Code caps secured debts at $1,184,200 and unsecured debts at $394,725, as of 2018. These figures are periodically adjusted to keep up with inflation. If you’ve failed to file any state or federal tax returns in recent years, take care of this before filing for Chapter 13 protection or you can be denied. You must provide the court with proof of your filed tax returns for the last four years. If you missed a year and you need time to file, you have up until seven days before your meeting with creditors to provide copies or transcripts of your returns to the trustee. The meeting of creditors is typically scheduled early in Chapter 13 proceedings, so this may not give you a lot of extra time. Stockbrokers and commodities brokers can’t file for Chapter 13 bankruptcy. If you work in these fields, the court will deny you eligibility. Businesses can’t file for Chapter 13, either. If a business wants to enter into a payment plan rather than file for Chapter 7, it must file Chapter 11, the business equivalent of Chapter 13. If you own your own business, you can file Chapter 13 on any business debts you’re personally liable for. If you’ve filed for bankruptcy before, this can prevent you from receiving another discharge, at least for a while. You can go ahead and file for Chapter 13 if you meet all other requirements, but the court will deny you a discharge of your debts until the required time has passed: four years after a Chapter 7 discharge and two years after a prior Chapter 13 discharge. If you complete your payment plan before this time has elapsed, you’ll still owe any remaining outstanding balances on your unsecured nonpriority debts, which typically aren’t paid in full in a Chapter 13 bankruptcy. If your previous bankruptcy was dismissed by you or the court, meaning you didn’t receive a discharge, you must wait 180 days after the dismissal to become eligible again. FindLaw: Who Can File for Chapter 13 Bankruptcy? AllLaw: Are You Eligible for Chapter 13 Bankruptcy?